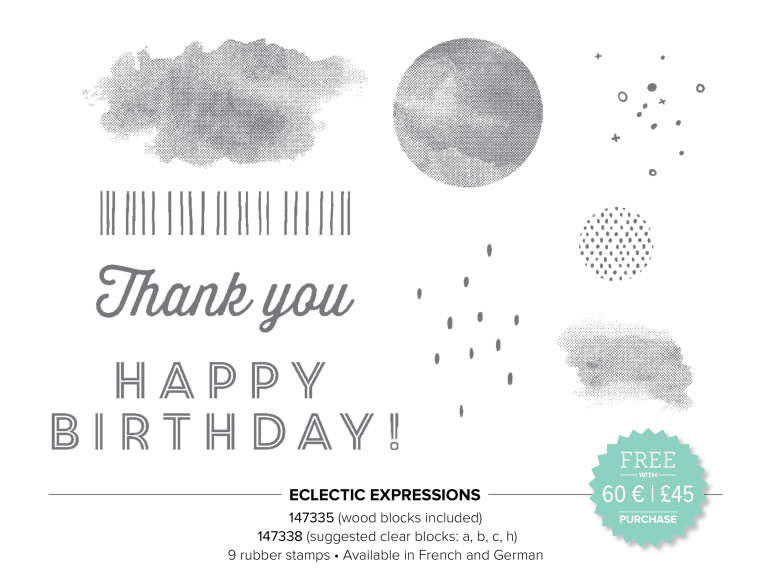 Just popping in really quickly today to let you know that today Stampin' Up! 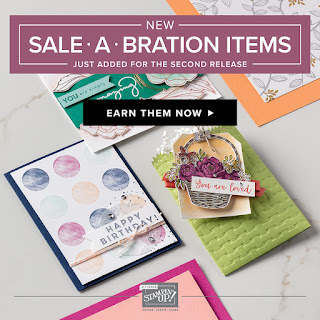 have released even more FREE products to choose from as part of their Sale-a-bration promotion. I've showcased them below or you can click on the image above or the one to the right. There are three new items to choose, available FREE to anyone who places an order of £45 (or £90 for the bundle). 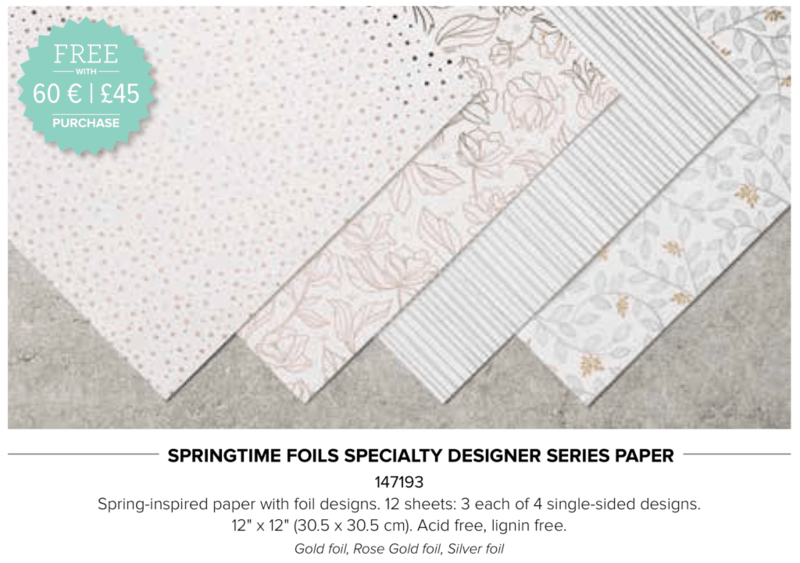 This patterned paper is soooo pretty in real life. Beautiful foiled designs - I challenge you not to start colouring as soon as you open it - it is just begging to be coloured! This stamp set is one of those ultra useful ones that I think will be turned to again and again - lovely sentiments and so many great background images. You can choose either of the above items for FREE by spending £45 on anything from either of the current catalogues. This bundle of stamp set and embossing folder is available FREE with any order of £90. 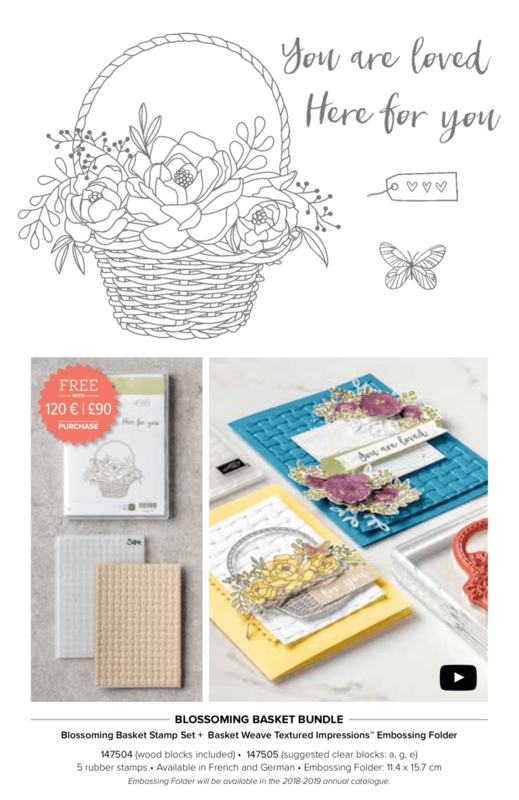 And the embossing folder will be transferring to the new Annual catalogue in June, so how great that we can now get it for free rather than paying for it later! I hope that little showcase has tempted you. Orders are already coming in - thank you so much to everyone who shops with me - I appreciate each and every one of you and am already trying to choose what the free gift will be for this month for anyone who uses my shopping code!